I’m not a big jewelery girl. Yes, I said it. I’m not at all fascinated with the bling. I only wear some jewelry on certain occasions, mostly necklaces and earrings, but the one piece of jewelry that I love most are rings! Aside from my wedding band and engagement ring, I don’t wear any, but I do love them. I think they are so pretty and meaningful. 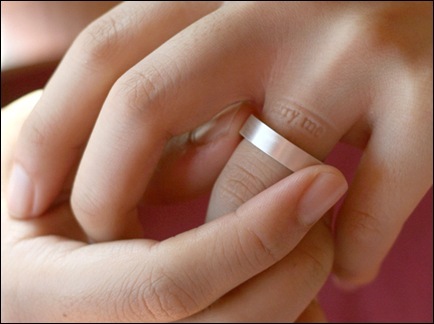 I came across these inner message rings from a South Korean designer, Yoon Jung Yun. 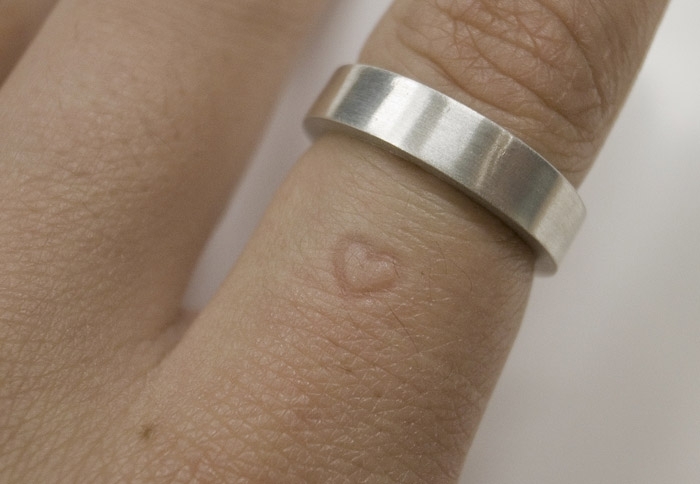 They are the most adorable and sentimental rings I’ve ever laid my eyes on and I see a future trend starting here. The rings come in silver and gold (look similar to a plain wedding band) but the inside have messages that get indented into your fingers when you take them off. 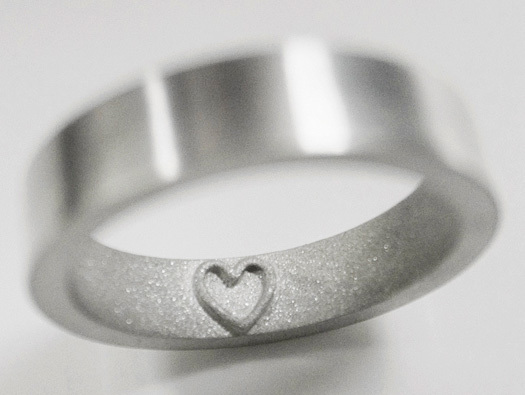 Words such as: Marry Me, Always, Heart Symbol and I believe she also does custom messages. I think these are a beautiful gift to give to that someone special in your life. 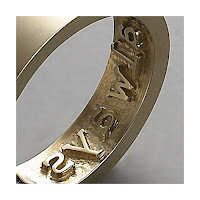 They are real sterling silver and real 14k gold so prices range from $120 – $780USD. You can find her rings on her website. « Celebrity Closet: Who is your fashion inspiration?